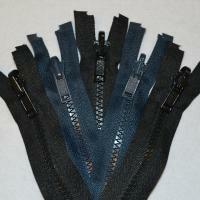 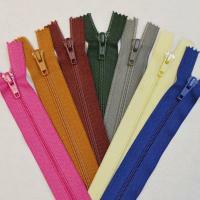 Zips are not only an imperative item for your sewing kit but are an essential item used by most of us on a daily basis. 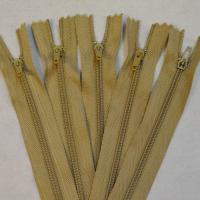 Initially called "the hookless fastener", the idea of the Zip was first conceived by the American engineer Whitcomb L. Judson and has grown to become one of the most widely used mechanisms of the past and present centuries. 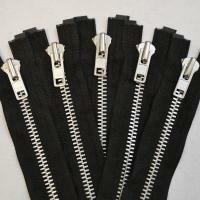 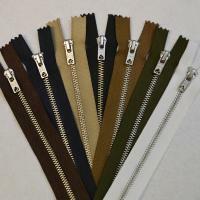 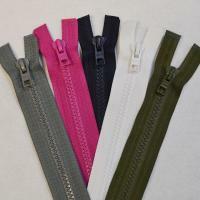 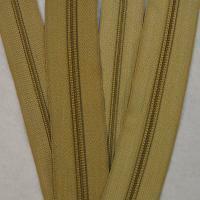 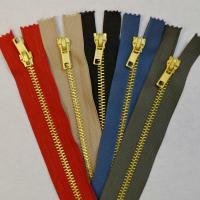 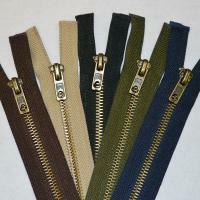 Zips are widely used by dressmakers for practical reason on items such as coats, jackets, dresses and jeans however, in recent years the fashion industry has begun to utilise Zips as merely a functional item and have begun to expose the Zip as a fashion accessory in itself and can be seen adorning everything from bags and purses to jewellery and hair accessories. 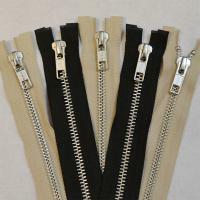 We stock a wide range of Zips suitable for all purposes from dressmaking and crafts to soft furnishings included in these are metal, plastic, dress and concealed Zips. 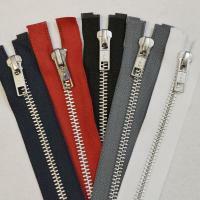 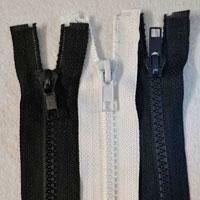 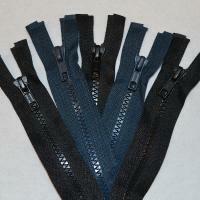 We also stock a variety of larger Zips suitable for use in items such as sports holdalls, tents and sleeping bags. 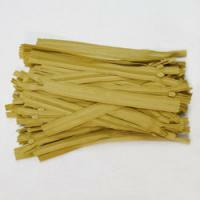 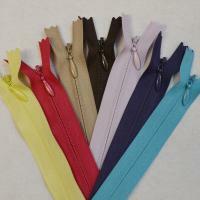 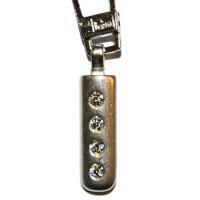 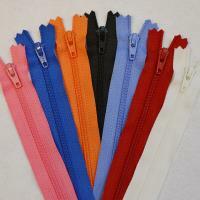 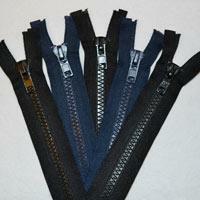 The majority that we stock here at Calico Laine are either YKK or Opti branded and are very competitively priced.